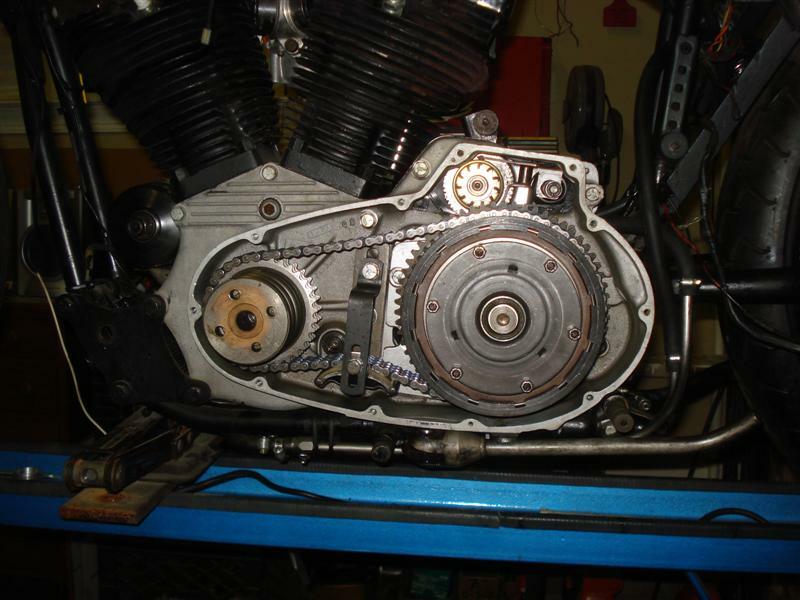 As with all motorcycles, engine cases are the foundation upon which all else is built. Starting with a good set of cases is nice, but sometimes we aren't that lucky. With a production span of 28 years, just about every part is still available for the Ironhead Sportster. The exception is the engine cases. 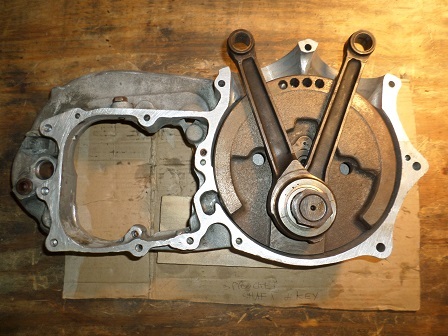 This article will cover compatibility, design changes, and common problem areas of Ironhead engine cases. Like the majority of classic motorcycles, Ironhead cases are split vertically. The left side is the power (primary chain and clutch) side and right side is the gear (valvetrain) side. 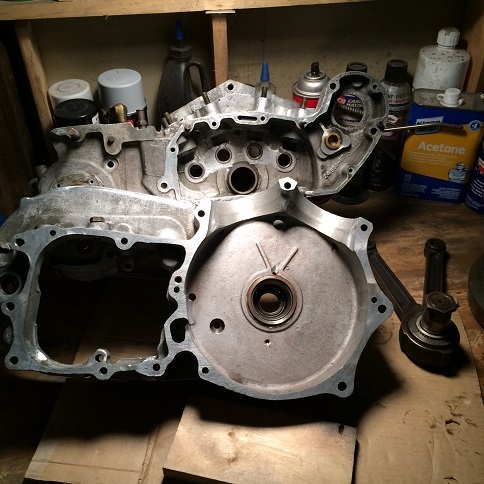 Although there are over a dozen different factory part numbers from 1957 through 1985, Ironhead engine cases can generally be broken down into early, mid, and late styles (with slight variations in each). Early Sportster models from 1957 through 1966 were kick-start only. They were all 900cc and the cases are interchangeable from year to year. Very early cases (1957-1958) will have different casting numbers than later 900cc cases. 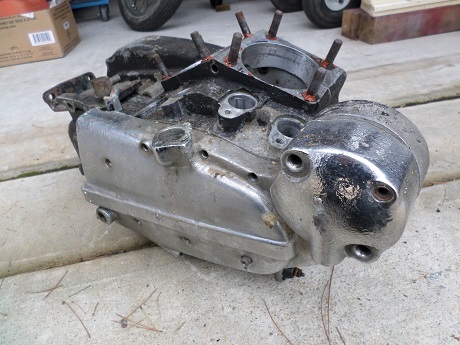 There were two different Sportster engine cases from 1967 through 1970. Beginning in 1967, a second set of engine cases were made to accommodate electric-starters. All XLH models were electric-start, but XLCH motors were kick-only and would use the older cases until 1969. From 1967 to 1971, electric start cases were 900cc. The major visual difference between kick and electric Sportster cases is on the left side. 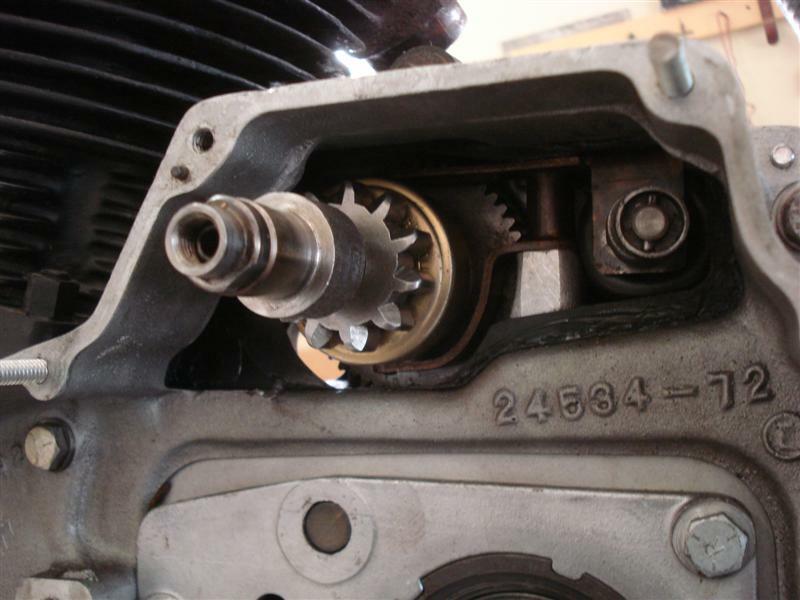 On kick-only engines, the primary covers were egg-shaped, while electric-start primary covers had a rectangle sticking up to accommodate the electric starter. With engine displacement increased to 1000cc in 1972, there was again just one set of engine cases for all Sportster models. XLH models continued to be electric start. XLCH models from 1972-1979 were kick-start only and used the same cases with a block-off plate where the starter would be. 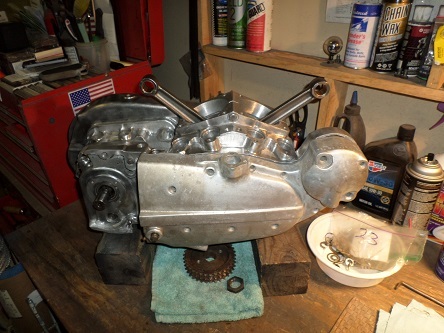 Ironhead engine cases from 1967 to 1978 have a different rear motor-mount than earlier cases. 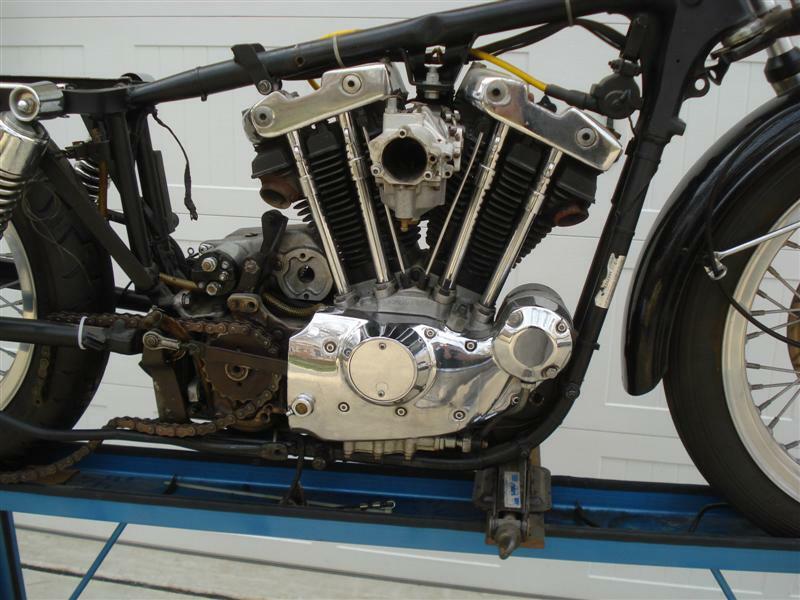 Sportster engine cases were updated in late 1979 for the 1980 model year. Although the last year of kick-start Sportsters was officially 1979, some 1980 models had cases with the hole and bushing for a kick-start. 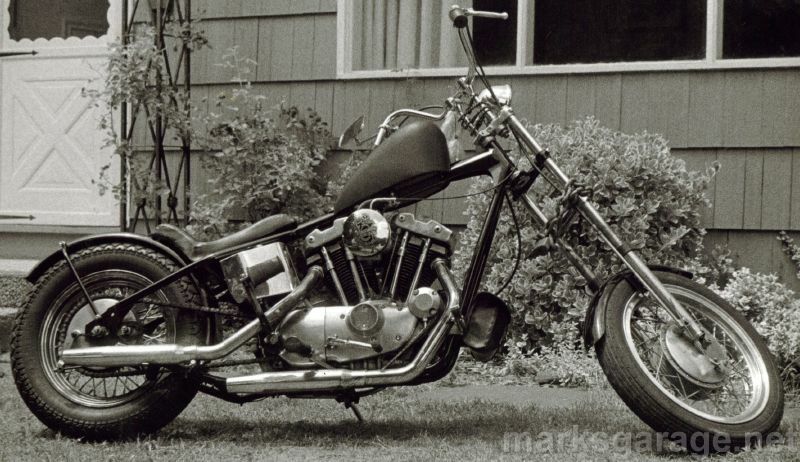 For 1982, Harley-Davidson introduced a new gear-reduction starter for all Sportster models. 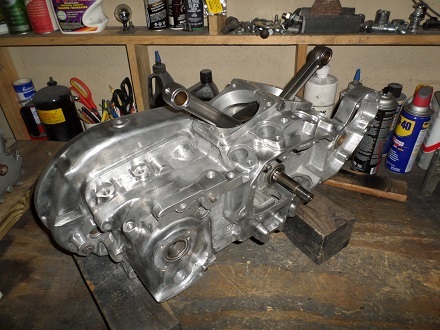 Crankcase castings were slightly modified to accommodate this. Trouble was, it required removing the primary cover for servicing. These cases were used until the end of the Ironhead production in 1985. Late 1981 and early 1982 Sportster cam covers were slightly different than earlier covers. If the casting number ends with "-81" then it's the later style. Carefully check against a new gasket that you are using the right cover. Can I Put 1000cc Cylinders on 900cc Cases? When Sportster engine displacement was bumped up to 1000cc in 1972, the cylinder spigots were widened and the cylinder bolt pattern was changed slightly. This makes exchanging 900cc and 1000cc jugs difficult, but not impossible. With the value of early Ironhead Sportsters continually rising, modifying 900cc cases in any way is not a good idea. All year Ironhead engine cases (1957-1985) were made with good quality aluminum alloy. If damaged, they can be repaired with welding and/or machining. Since the left engine case is the "power" side, it is more commonly damaged, and subsequently, more commonly repaired. 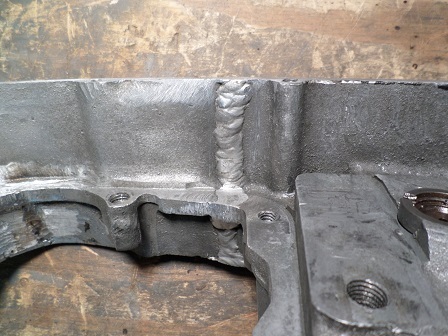 There's nothing wrong with welded cases provided the repair was done properly. 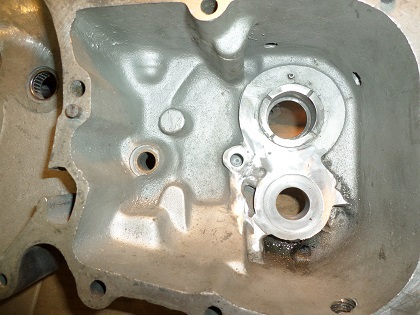 On pre-1973 cases, a common crack area is the right-hand lower transmission area. This is a weak area of early Sportster cases--the speedometer drive. Seems like early 900cc right cases were machined a little too thin in that area to clear the speedo drive gear, and often times cracks would develop if the bike was pushed hard. Welding up the speedometer drive port was often done by racers who didn't need a speedometer anyway. 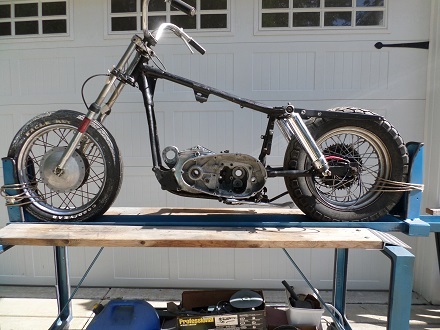 Remember that once you go this route, you cannot use the stock speedo drive, so a 1974-up 1000cc Ironhead is a better (easier) foundation for any serious performance modifications. Another spot where Ironhead engine cases may crack is inside the right-rear where the final-drive sprocket is. This is usually from a missed shift at high RPMs. A common fix for this problem was to weld an aluminum ring to the transmission countershaft bearing area inside the case. 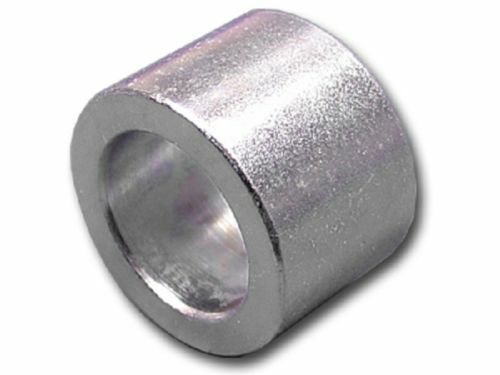 The aluminum ring gives it more rigidity and strength. The speedometer drive port often gets welded up when this was done. When Harley-Davidson engine cases left the factory, the halves were a matched set, with matching line bore numbers stamped on the bottom of both cases. These numbers are commonly called "belly" numbers, as they are stamped into the bottom of both left and right cases. These numbers were stamped by the factory technicians that built the motor. For example, let's say that a 1972 Sportster has belly numbers "772-1628". The '7' signifies it as being an XL (Sportster), the '72' is the year the motor was manufactured, and the '1628' is a sequential factory number. Sometimes belly numbers may not match, for example, cam side "761-2880" and primary side "762-1630". It could be that a Harley dealer replaced a damaged case somewhere in the bike's history. Starting in 1970, Harley motorcycles had matching VIN numbers on both frame and engine. These numbers will match exactly if the bike is all original. For collectors and investors, it is important that Vehicle Identification Numbers (VIN) on the bike match. Mismatched cases usually mean a poor alignment in the shafts that ride in the cases. It can also mean premature transmission problems, because the two transmission cavities aren't lined up perfectly. It's also likely that the cylinder decks may need to be machined so that they are dead-flat and even on each side. Also check the rear motor-mount surfaces. If an engine with non-matching belly numbers is already assembled and running, chances are (hopefully) someone has already gone through it and tolerances are OK. But, if two case halves have not been together before, you wont know until you put the two together. Line boring is an operation that can be critical to the life of your motor. 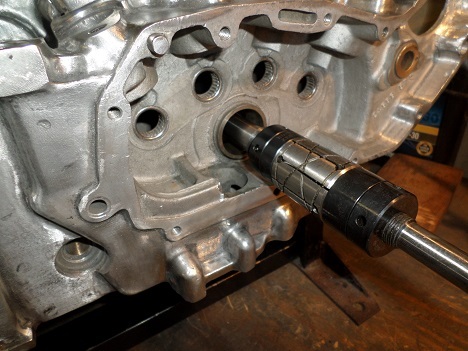 If one side of an engine case is to be replaced, it should be lined bored to ensure that the relating shaft runs true between centers. If this is not done, the mainshaft and the countershaft may not be in alignment with each other. The out of alignment condition will cause premature wear, as the mainshaft rollers will "walk" out of position and have a very short life. Just as importantly, the transmission mainshaft holes should also line up correctly. 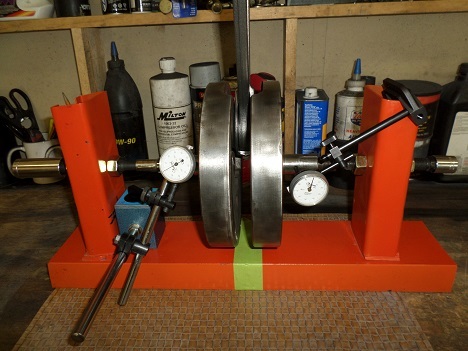 Whether or not line-boring or lapping main bearing race is needed, careful inspection and measurement is critical. If you skip this important step, you may end up with a teeth-rattling machine you won't want to ride. If you looking to replace an engine case, you need to be concerned with legalities of the stamped vehicle identification number. There's lots of VIN forgeries out there. A belly number can be used to corroborate a suspicious VIN number, but legally belly numbers don't have to be there. H-D dealers sold warranty or replacement cases, which have no VIN on them. The dealer may have stamped a number into the case. Non-matching belly numbers have nothing to do with a good VIN number. Your Harley engine's factory finish is the most desirable for restored bikes. It is quite hard to duplicate, so unless necessary, sanding down original Harley cases is not a good idea. Just about any problem with an Ironhead engine can be overcome, but the repairs will add considerable time and effort to your engine build. Make a good visual inspection of both cases for cracks and previous repairs. If you see any cracks beginning, have them welded up before it gets worse. It's a lot easier to weld it up before it blows than after! The older your Sportster is, the more rare and valuable it is. So if you have an early or low production model, leave the cases as stock or as close to factory as you can.